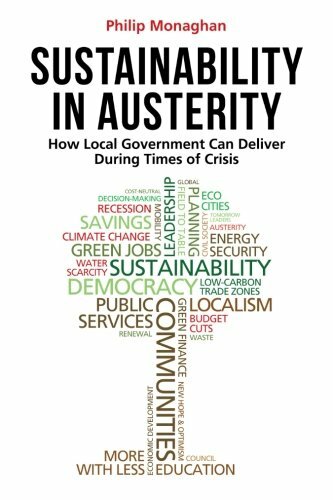 Sustainability in Austerity has been written to provide local leaders with a lifebelt in these turbulent times. It empowers local authorities to address the challenges they now face - by offering a treasure chest of cost-neutral and powerful ways for leaders in local government to advance sustainability as nations emerge from the global recession. Shaker Mill Books is the annex of The Bookloft in Great Barrington, MA, one of the only independent bookstores in the Berkshires for over 35 years. Located in West Stockbridge, MA, Shaker Mill Books houses nearly ten thousand rare, out-of-print and/or signed books. We specialize in Berskhire Books (many now out-of-print or otherwise unavailable), including local histories and biographies, as well as a large collection of books by nature writer Hal Borland. We accept all major credit cards, checks, and money orders. Shipping is $3.75 media mail + $1.00 each additional title within continental US. Priority or UPS available on request. Will quote overseas shipping. All books over $100. automatically insured for an additional $1.50 unless otherwise requested. Heavy or oversize books ship at cost. Address: W. Stockbridge, MA, U.S.A.